Any council that is serious about meeting the needs of its community must be committed to developing its councillors. Most authorities have some form of support programme in place. However, the approach and levels of commitment and effectiveness vary. The Charter provides a robust, structured framework designed to help the authority enhance and hone member development. This is available for councils, police and fire authorities across London, Northern Ireland and the south-east and east regions of England. In the south-east, 18 councils have achieved the Charter status to date. SEE is also leading the Charter for the councils in London and the east region. In the east region, 18 councils have obtained Charter status as have 3 London boroughs. The investment is £3,000 per authority for SEE members and £3,250 for non-members (plus VAT and expenses). This includes the cost of assessment, as well as ongoing support and contact. Your authority has up to three years, from the time of committing, to be assessed. In 2018 SEE engaged with representatives of three organisations who have achieved Charter or Charter Plus status to conduct a programme of research to develop some in-depth case studies. The goal of this piece of work was to develop a suite of literature to help councils understand the drivers, value added and benefits of committing to the formal assessment framework of the Charter or Charter Plus. We have produced an executive summary which highlights the common themes across the three organisations. There is also a report into the benefits for councillors of authorities that commit to achieving the Charter or Charter Plus. In addition, there is a summary of each council’s case study. Achieved Charter Plus status in 2014 and successfully reassessed in 2018. 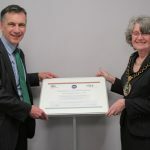 The first London Borough to achieve Charter Plus Status. Achieved Charter Plus status in 2015 and successfully reassessed in 2018. Achieved Charter status in 2017. If you would like to read the full versions of any of the above case studies, please contact Mark. These case studies have been undertaken since the revised framework was launched in January 2017. They will demonstrate the benefits of the Charter to the council, councillors and community. Bracknell Forest Council – Successfully reassessed for Charter Plus in April 2018. 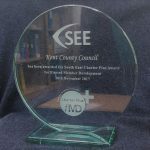 Havant Borough Council – Charter awarded 2017. Kent County Council – Charter Plus awarded November 2017. Rother District Council – Successfully reassessed for the Charter in March 2018. Surrey County Council – Charter Plus awarded in March 2018. There are five key stages in working towards the Charter. The authority will undertake a self-assessment against the Charter criteria and, based on the self-assessment, will develop an action plan supported and approved by SEE. The authority works towards achieving the Charter and meeting the requirements of the action plan. When an authority considers it has everything in place to demonstrate it has achieved the Charter, they will inform SEE who will make a judgement whether the authority is ready for assessment. An on-site assessment will be carried out by a trained team of an officer, a member and Mark Palmer from SEE. A comprehensive report will then be sent to the authority following the assessment visit, outlining good practice, areas for improvement and whether it has achieved Charter status. When the authority has been assessed and awarded Charter status, a certificate from SEE will be presented. Once awarded, the Charter has a ‘lifespan’ of three years, after which an authority will be required to submit details of how it has sustained the standard. The authority is then reassessed against the Charter. An informal review after 18 months is also carried out to check progress and identify any needs.